Need to get a gift for a reader who also happens to be a geek? We completely understand. Although books are always a wonderful idea (check out our favorites), if they happen to be a geeky book geek, it could be hard to find the right one. So geeky book accessories for the win! Here are my five favorite gift ideas. 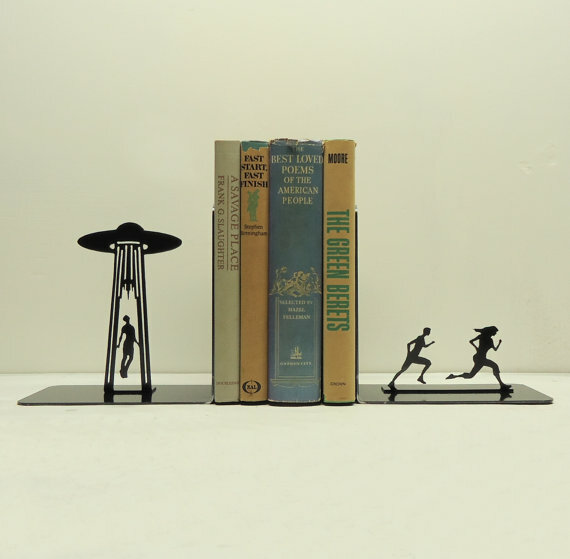 The “Alien abduction” bookends is only one example from Knob Creek Metal Arts. More examples. Prices range $60-$65. Buy here. Star Wars AT-AT bookends. Price: $208.78. Buy here. Steampunk gear bookend. Price: $115. Buy here. Super Mario Bros. Bullet Bill and Cannon. Price: $50. Buy here. Perfect for your technical books (Knob Creek Metal Arts) Buy here. Portal bookends. Price: $48.75. Buy here. 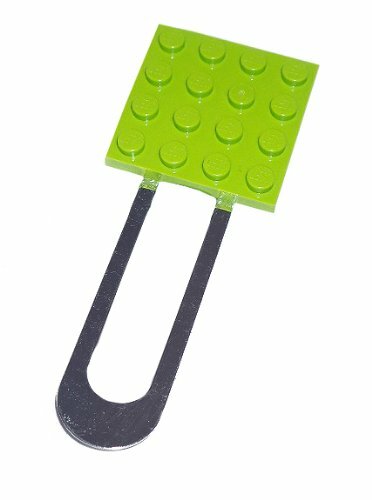 I just loved these geeky lego bookmarks. Price: $7.99. Buy here. There are millions of geeky bookmarks out there… there is no way I’d be able to find them all. Fantasy, sci-fi, superheros, gaming, tech, you name it, there is probably a bookmark for it. However, I did love these upcycled Lego bookmarks by Amazon seller geekynchic. Made from real lego, they come in multiple colors, and cost $7.99. I don’t know about you, but in my house, I want to continue reading long after the spouse wants the light turned off. A reading light is the answer, perfect for a dark car, plane ride or any place when your book needs a bit more life. 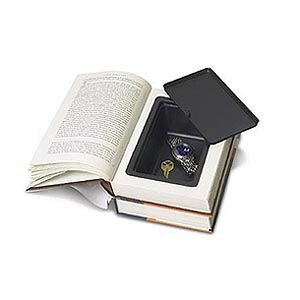 Book lights have been around for a while, but for $15.99, you can take a bit of time and space with you with this Tardis book light from ThinkGeek. 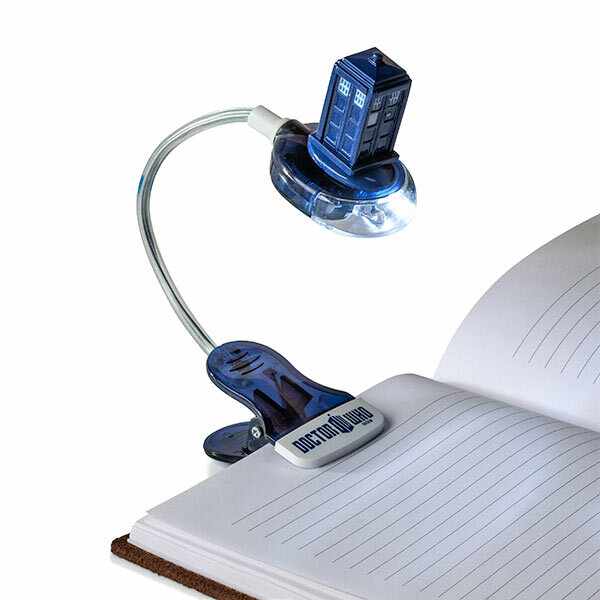 Tardis book light. Dimensions: bigger on the inside? Price: $15.99. Buy here. Book Vault. Price: $30.98. Buy here. If someone has a lot of books, then a book is a perfect hiding spot for treasure. These book vaults are quite popular, consisting of books with hollowed insides. 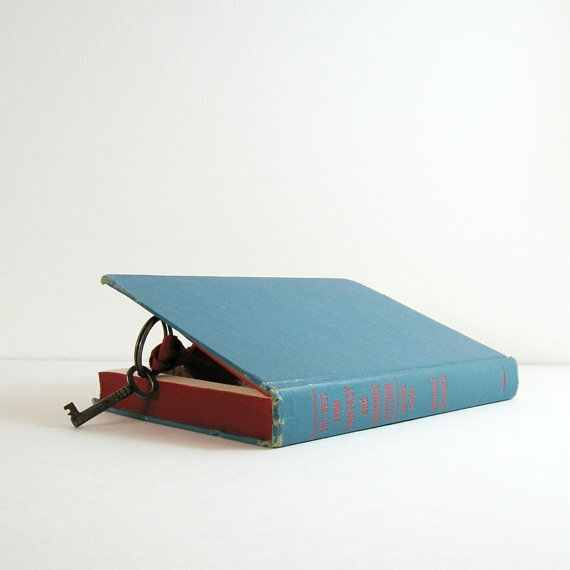 Some have finished compartments and lots of storage space, but this one on Etsy uses a science fiction book. Win! “The Best from Science Fiction and Fantasy” was transformed into a stylish Book Vault by Bookbw. Price:$38, Buy here. DIY gift, you say? You can make them yourself…if you have the proper tools. That much paper can be hard to cut. I always admired the beautiful cover of “The Neverending Story” in the movie. Now you can get it to cover your e-reader! Price: $58.95. Buy here. Be it Kobo, Kindle, Nook or iPad, somewhere there is a geeky cover or case waiting to be discovered. So far, my personal favorite? 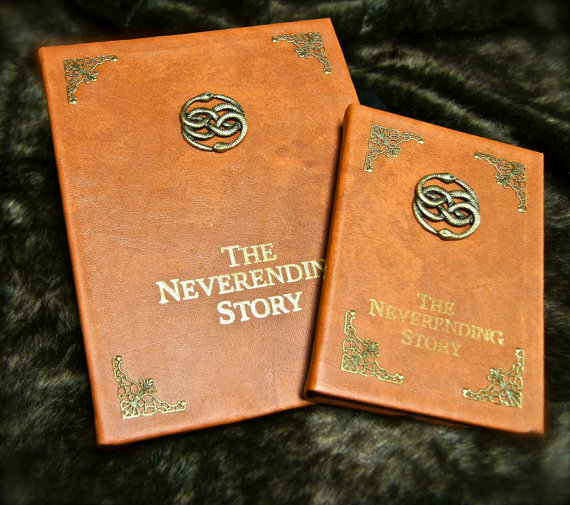 This “Neverending Story” cover available at Geekify Inc. for $58.95. Geekify Inc. makes them for a large variety of different devices and they look spectacular. They also made a e-reader cover that resembles Myst Linking Book.